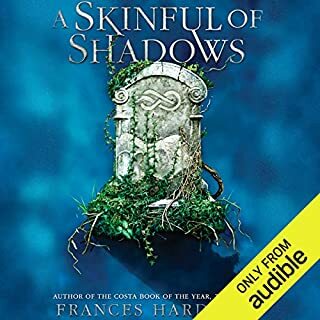 Listen to this thought-provoking, critically acclaimed novel from Frances Hardinge, winner of the Costa Book of the Year and Costa Children's Book Awards. In pursuit of justice and revenge, Faith hunts through her father's possessions and discovers a strange tree. The tree bears fruit only when she whispers a lie to it. The fruit of the tree, when eaten, delivers a hidden truth. The tree might hold the key to her father's murder - or it may lure the murderer directly to Faith herself. 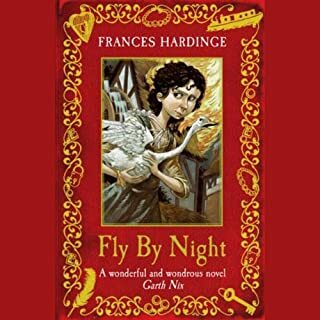 Frances Hardinge is the author of many acclaimed novels, including Cuckoo Song, which earned five starred reviews. 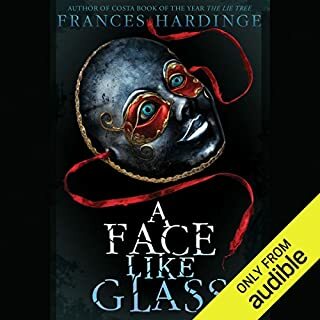 ©2016 Frances Hardinge (P)2016 Audible, Inc. The reader: One of the worst readers ever, her voices do not change for characters and her accent sounds like an American trying to fake what they think a British accent sounds like with the atrocious way she emphasizes every single syllable of a word to stress a British accent. There's really not much story to begin with, the plot is really minimally developed: Clever Heroine (Faith) paired with rival-attraction boy set out to solve the mystery of her father's (The Reverend) death. Both are piled into a plot of supposed mystery and intrigue as they are faced with the gutter snipes and wealthy classes. motivation for why they unreserved faith's father was a little interesting, but the story so overladen with droll metaphors and philosophical musings that by the story's climax you feel less surprised and just flatly like: oh I guess that works, type of feeling. Faith is probably the most frustrating of all bc she is a whiny sneaky little smart Alec that I really couldn't find any connection with her as a reader. She's more than a little self-conceited (always thinking she is more cleverer than 99.9% of most of the characters she is forced to interact with *with the exception of her father that I just couldn't like her. The rest of the characters seem to fall flat, despite all their backstories or idiosyncrasies described in the book and seem more as simple background or prop pieces that are forcibly forced into the story who's sole existences are only a means to inject some progress into propelling the story onwards at its snail pace. Very creative & original!! The kind of book that gets your imagination flowing. Great read & listening. A book of truth and determination! Would you listen to The Lie Tree again? Why? Yes- thought a bit slow at times, it was a wonderful story. What was one of the most memorable moments of The Lie Tree? The amazing growth of the tree with each lie, though no one believed! Honestly, she was a nice narrator, but nothing that would have changed the experience. The story tells of Faith, the eldest daughter, who discovered her father's work has been scrutinized and found scandalous. He'd been accused of an intellectual fabrication so great, the family fled into the night from Kent, to an island called Vane, But that desperate run served no assistance, because later her father is discovered dead, assumed to have committed the ultimate sin: suidide. Faith refuses to believe so and she set herself on a mission to clear her father's name and uncover a killer. **Book is from my personal library, for an honest review. The narrator rendered this book much less enjoyable than the words of the author might otherwise have done. I completed the book to hear the story but the narrator's voice was a disincentive every step of the way. A pity. The only thing I did not like was sometimes in the story it started dragging onward and felt boring. 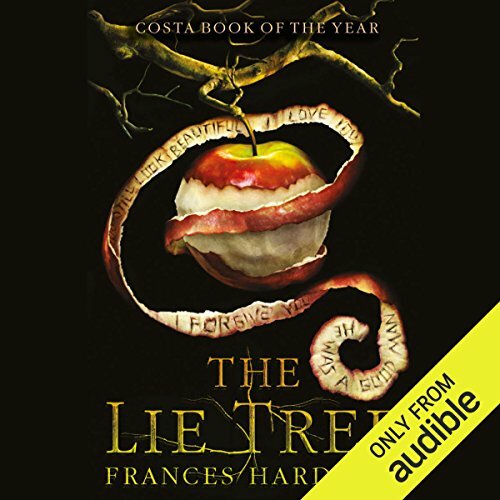 But, as I did enjoy this story, I will read (or listen to) The Lie Tree once more to appreciate the book’s details. 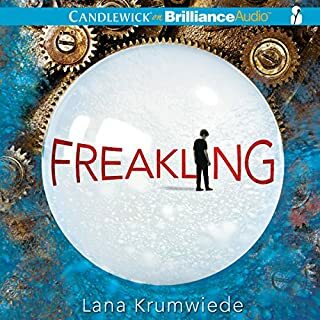 The reader did an excellent job using her voice in different tones in different places of the book and changing the sound of her voice if she changed to different characters and/or needed a different tone for emotion. I would highly recommend! Thank you for the excellent reading experience! Overall I enjoyed this book. It takes place in a period that fantasy usually doesn't. I was intrigued by the idea of the plant and was pulled along through the story wanting to know how it would all come out. The setting of archaeological digs was interesting and the author mixes in social norms of the period. There's a lot of focus on women's lack of power during this period, which seemed well-researched to me. I also liked the idea, at the end of what the tree really is. That said, I was very disappointed that the author didn't actually follow through on what the book initially said the tree was. The book very much implies that the tree imparts knowledge that no one else would know. But the visions that she sees only have to do with her father's murder. It just doesn't make sense that the tree would be that sought -after if it wasn't really special knowledge. The simplicity disguises a multi-faceted and surprising story complete with social commentary, mysticism and triumph. I really enjoyed this. I write Gothic Victorian historical fiction and it's not easy to find great books in the genre that aren't cliche or romance-centric. It did not feel like I was reading young adult so it wasn't pandering. I particularly enjoyed the author's word choices, visuals, and metaphors/similes. I'm definitely going to try another one of her books next. The audiobook really brought the story to life. 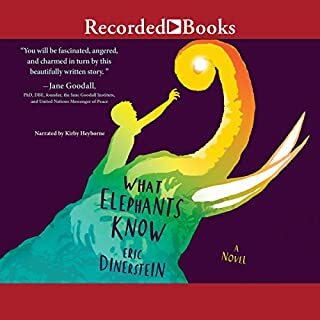 The narrator read so clearly and differentiated between the character voices in a way that helped me visualize the piece altogether. 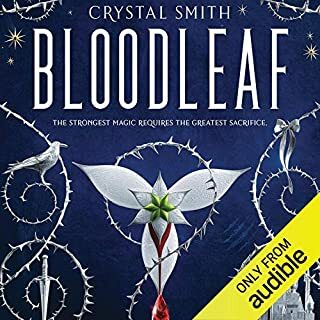 I enjoyed the audio slightly more than the story itself, but it was time well-spent listening! Highly recommend!